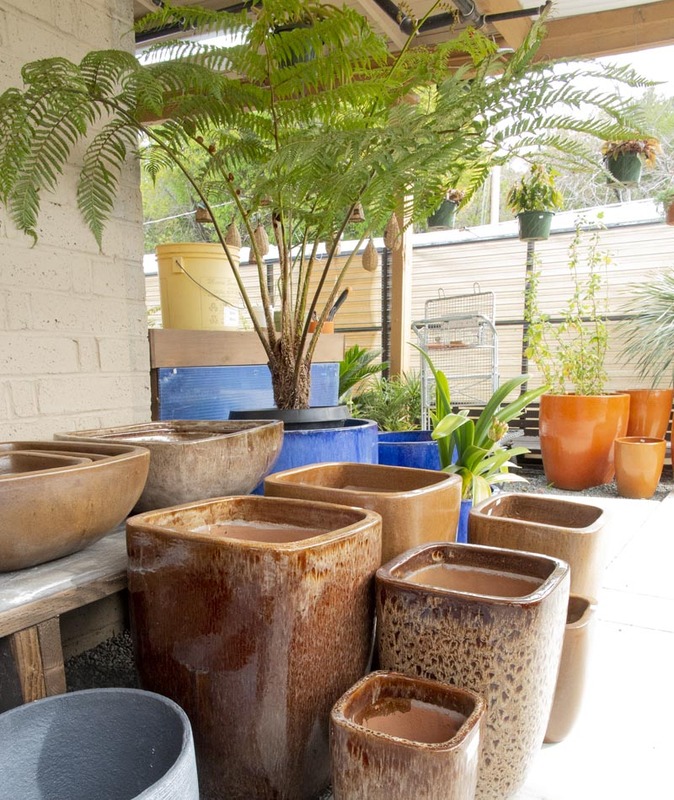 Cactus Jungle has the biggest selection of Terra Cotta Pottery in the Bay Area at the lowest prices. We carry a full line of every size of standard pot in width and height, from 2in. to 24in. 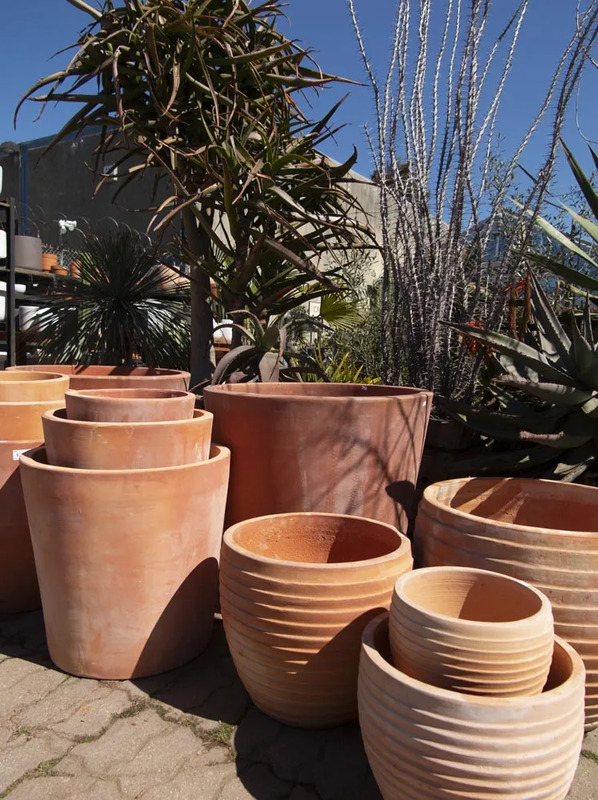 ; standard, rose (tall), azalea (short) and bulb-pan (very short). 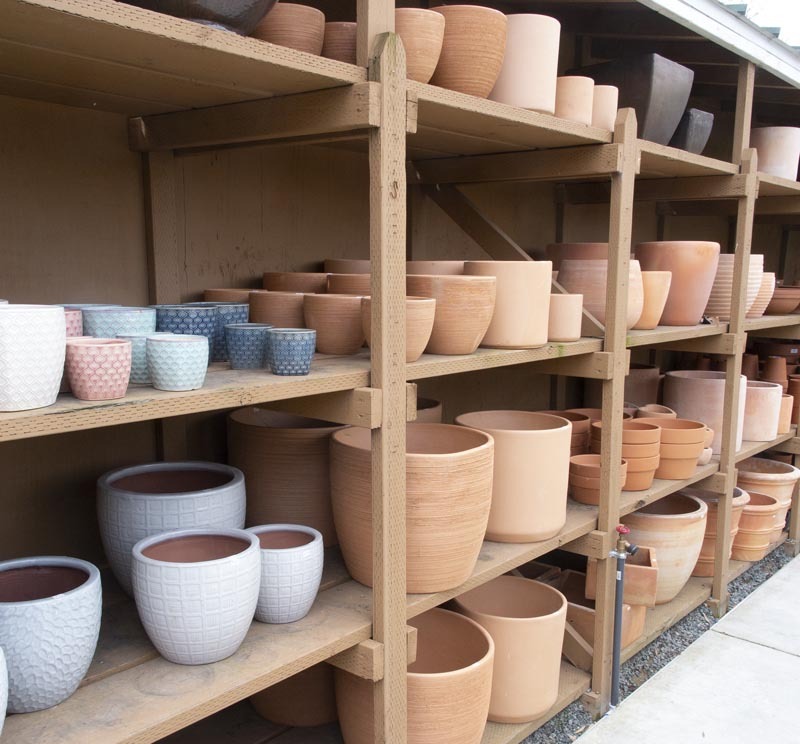 Plus a large selection of bowls and troughs, square and rectangular, large and small, square-edge and rolled-rim, modern and traditional. 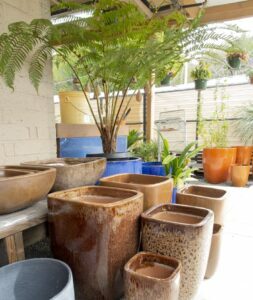 We also carry a selection of glazed pots, indoor pots, concrete pots and a few troughs. 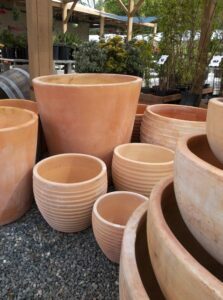 And strawberry pots, oval pots, orchid pots, bonsai pots, pot feet, terra cotta and glazed saucers. 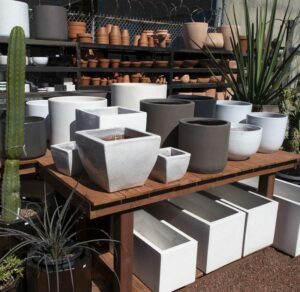 Plus iron stands and rolling carts for large plants. All our terra cotta pottery is the highest quality pot for your plants from Italy, Germany, China or the U.S.
Plus we have special purchases and new styles always hanging around. Just ask. Please note that we do not ship pottery.